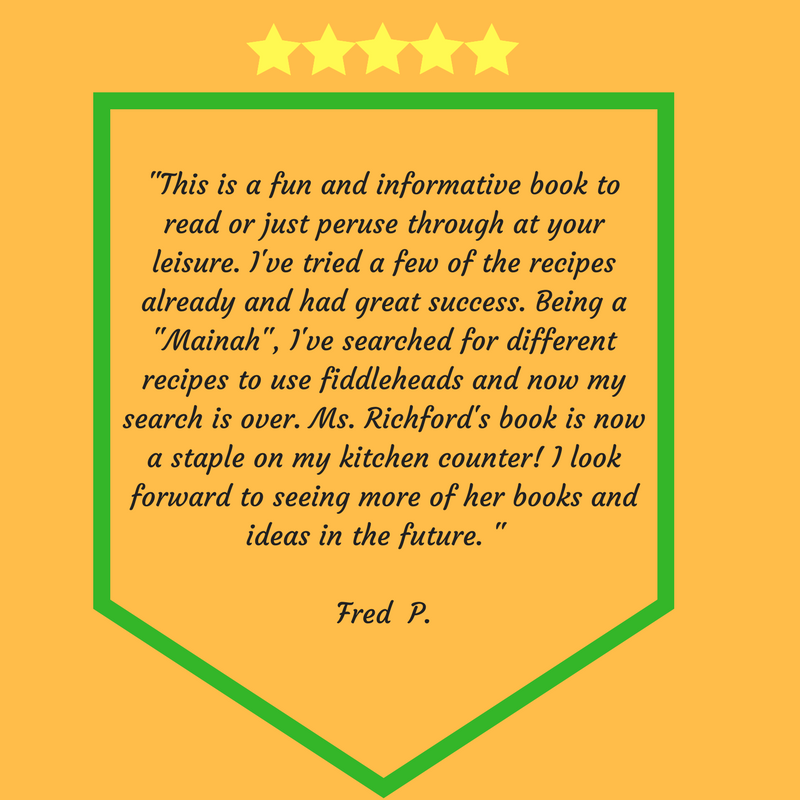 "Fiddleheads & Fairies" takes you on a journey back in time when fiddleheading was a rite of passage between winter and spring, but quickly brings you up to speed with everything you need to know about picking and cooking fiddleheads. It contains over 75 fiddlehead recipes with a generous helping of fairy lore and nostalgia, too. 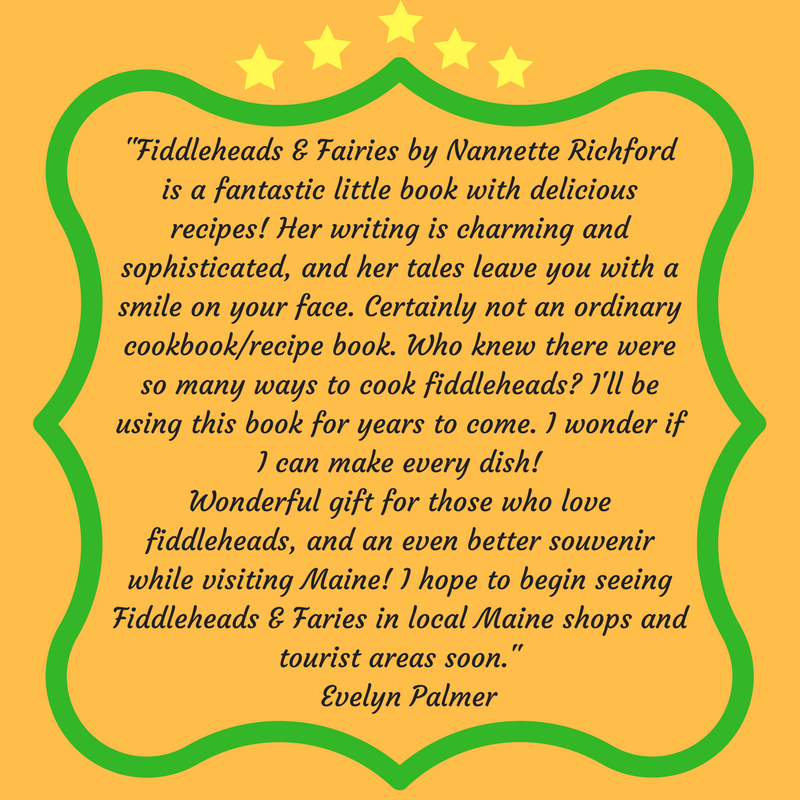 Set in the great State of Maine, this book makes a wonderful gift for those who vacation in Maine or for natives looking for new ways to serve these tender morsels. Order your copy today so you will be ready when the fiddleheads arrive!